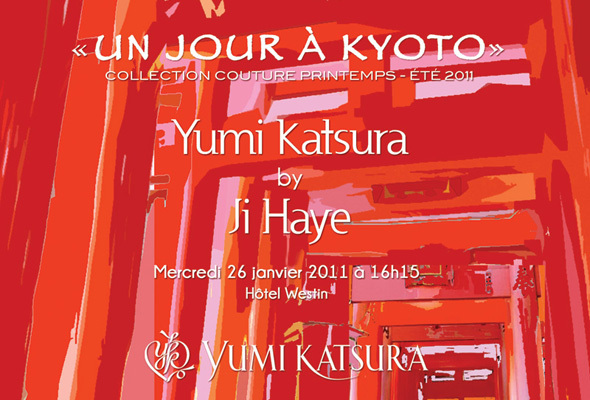 Pagong was extremely honored to be invited to collaborate with fashion designer Ji Haye for her Haute Couture Spring/Summer 2011 Collection. Two of Pagong’s yuzen dyed fabric from our historic catalog of patterns were used by Ji Haye. 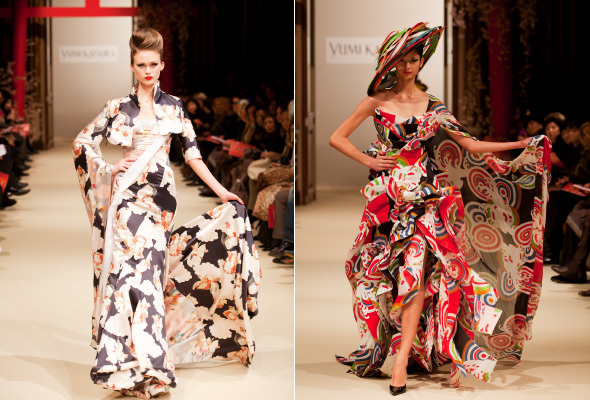 The show took place in Paris on January 26, 2011 and was created for Japanese fashion house Yumi Katsura.